You will always cut a fine figure wearing these! 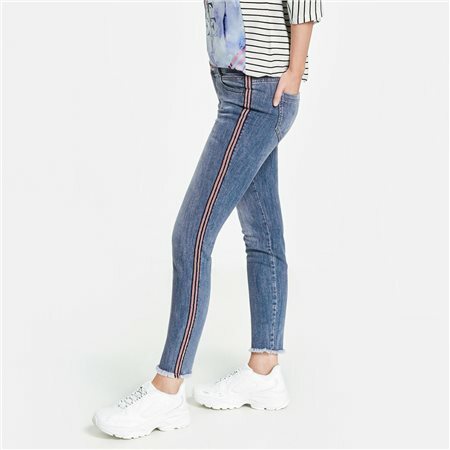 These slightly cropped jeans come in a skinny fit with a subtle vintage wash and a decorative ribbon on the side. Comfortable to wear thanks to the added stretch.